Aerial photograph of a lava tube at Kilauea volcano, Hawaii. 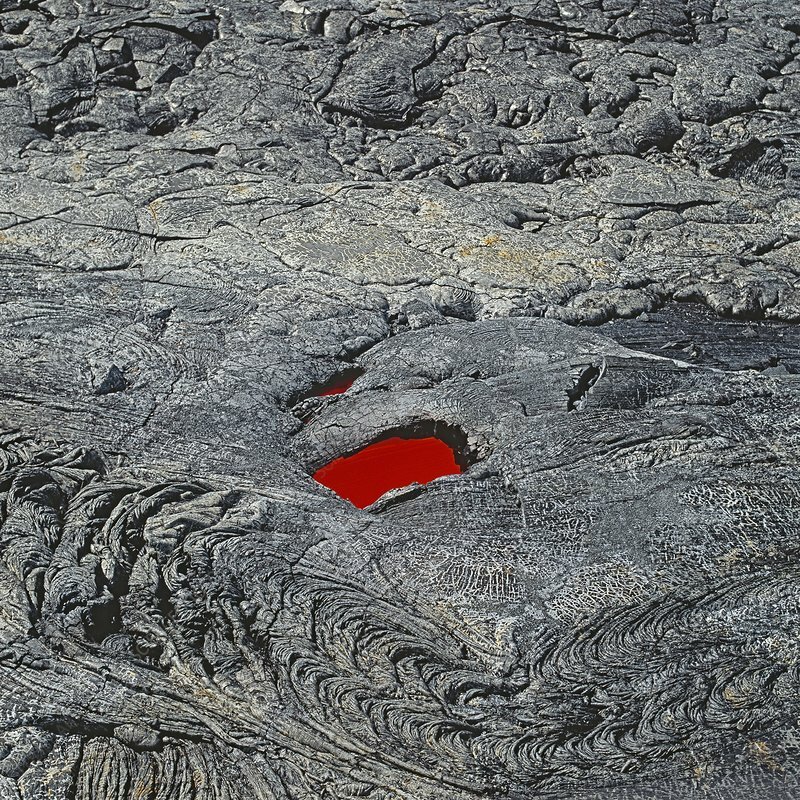 A hole in the roof of a lava tunnel, an underground outflow pipe of the volcano, is called a skylight by volcanologists. The skylight reveals the highly fluid, glowing lava flowing downhill under the crust of solidified lava layers.